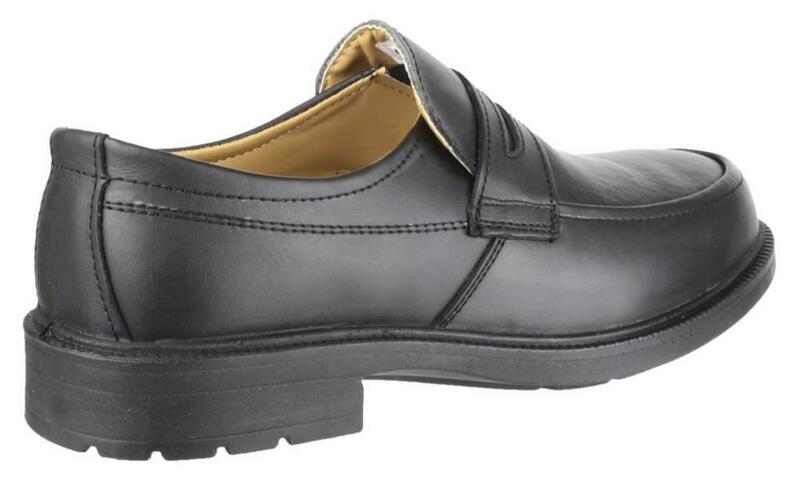 These particular shoes offers good slip resistance and has achieved a slip rating of SRC. With a tough dual density PU sole unit that combines an energy absorbing heel. 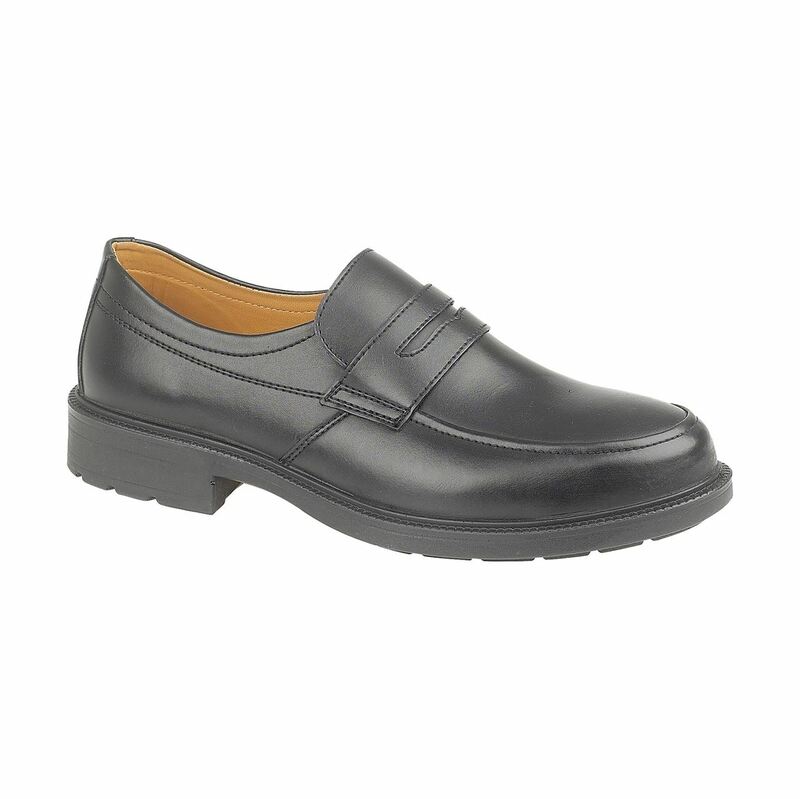 These executive work shoes are very popular with a number of professionals. 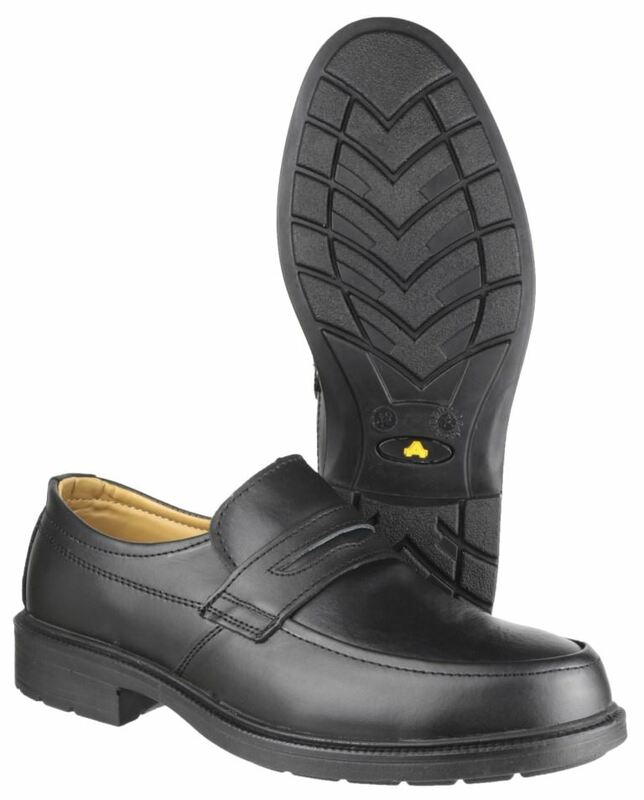 Antistatic Smart casual black leather safety shoes comes with Steel toe cap - resistant to 200 joules impact, and Composite midsole.